Roll the crescent dough up tightly and use a serrated knife to cut into 24 pinwheels about Â½ inch thick each. 1 Preheat oven to 350 degrees. Spray a large rimmed cookie sheet with non-stick spray. 2 Heat the pot roast according to package directions. Shred the meat with a fork. Let cool for 5 minutes. 3 Place the carrots in a microwave safe dish, cover, and microwave for 1:30 minutes to soften. 4 Unroll the crescent roll dough sheets and lay flat on your work surface. 5 Open the mashed potatoes and stir well. Do not microwave. 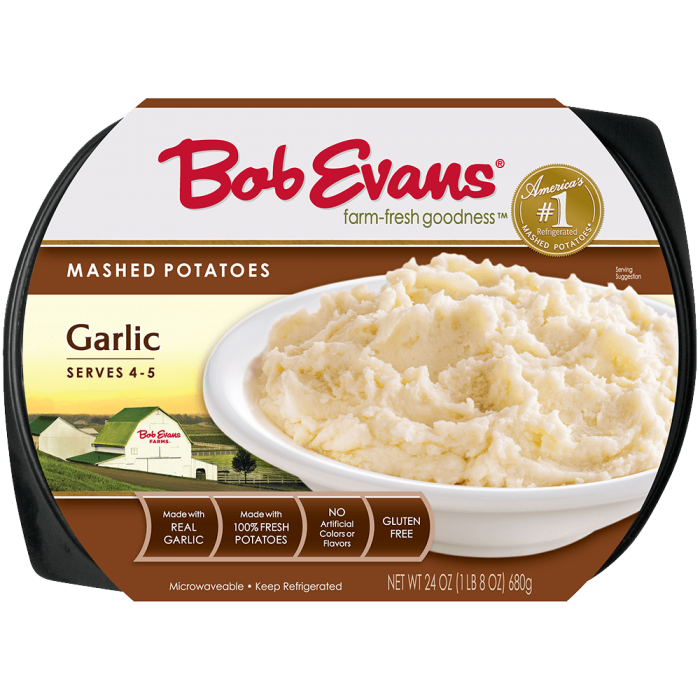 6 Divide the package of Bob Evans Garlic Mashed Potatoes between the two sheets of cresent dough. 7 Arrange 1 cup of the shredded beef pot roast evenly over the mashed potatoes. 8 Sprinkle the carrots and chives over the pot roast. 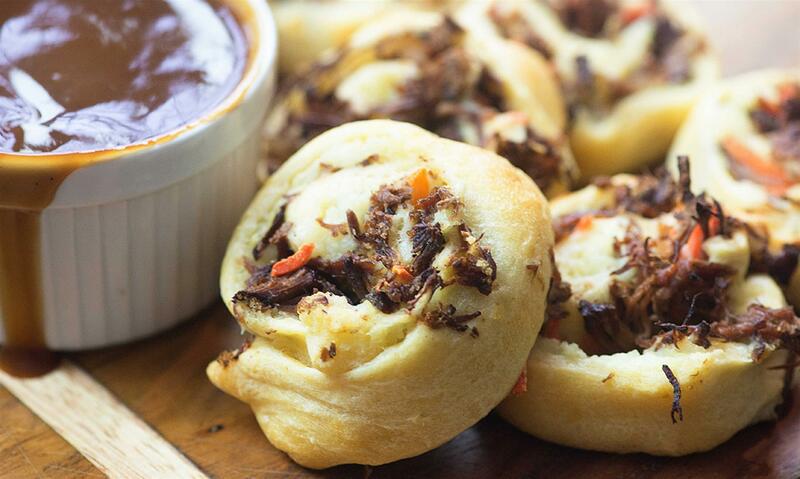 9 Roll the crescent dough up tightly and use a serrated knife to cut into 24 pinwheels about Â½ inch thick each. 10 Arrange pinwheels at least one inch apart on the prepared baking sheet and bake for 35 - 40 minutes or until golden brown on the inside and the dough in the center of the roll is cooked through. 11 Warm gravy according to package directions and serve with the pinwheels for dipping.